This is the go-to pan for bread baking. This 5 lb. aluminum oval loaf pan is perfect for baking all sorts of breads and other baking products. 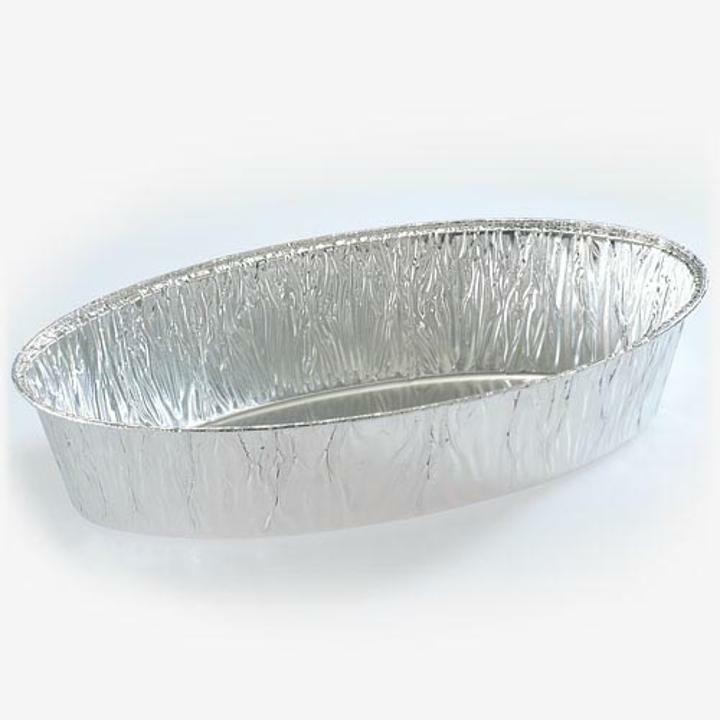 When the bread is finished baking in this disposable pan, sit back and enjoy the smell of freshly baked bread because there is no need to clean any dirty pan. 12.5 in. x 6 in. x 2.75 in. L: 12.5 in. W: 6.0 in. H: 2.75 in.